Mardi Gras Flutes Gold Set of 6 (P/N 710420). 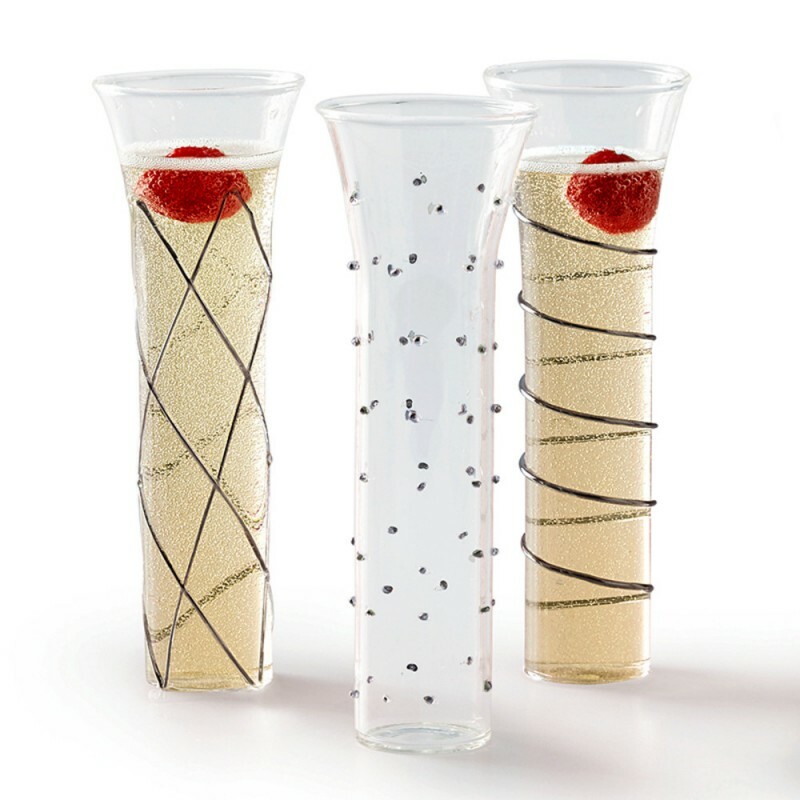 A set of 6 stemless flutes with glass detailing and gold accents provides a festive touch for special occasions. 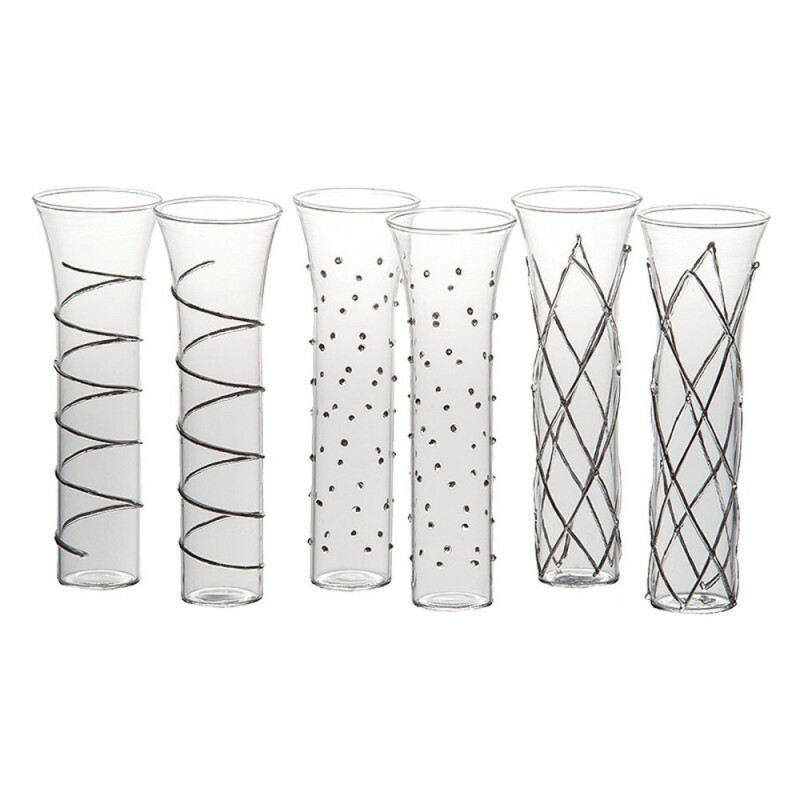 Each handmade set has 2 flutes of each design: diamond, dot, and spiral, which are hand-painted with gold accents for extra sparkle. 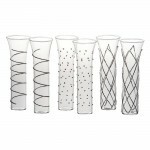 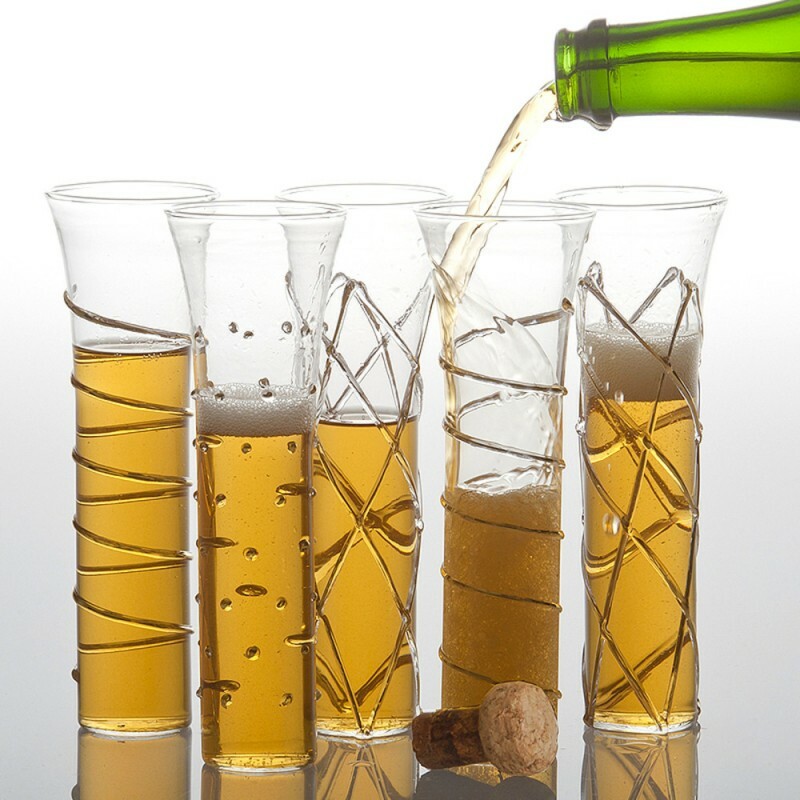 These flutes are light and delicate, specifically designed for special gifts and celebrations. 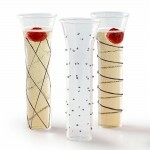 Because they are hand-made, each flute will have its own character, personality, and imperfections. 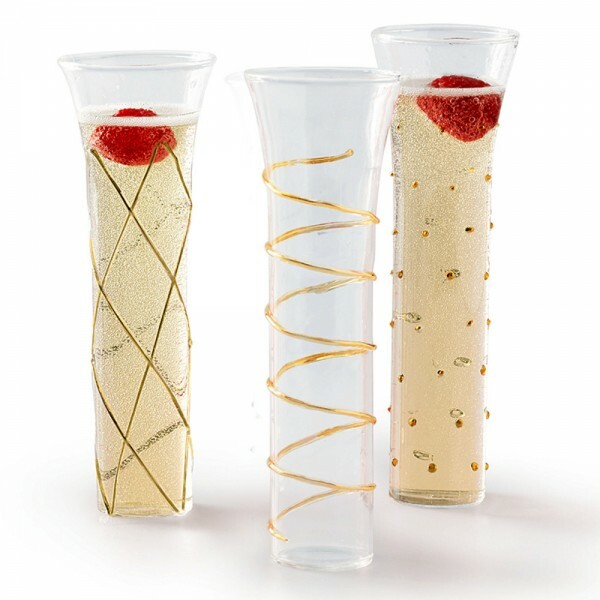 Accent your table with color and style with our all-new Mardi Gras hand-made flutes with gold accents.